A commenter on this site clued me in to this gorgeous old English style chapel that was the first LDS-built meetinghouse in Milwaukee. The triangular-shaped property was purchased during the Great Depression at the convergence of West Roosevelt Drive, West Leon Terrace Drive and North 44th Street. The members raised $33,534.33 for their building that was budgeted to cost $50,000. Local Wisconsin Lannon stone was secured for the exterior instead of the red brick that was in the original design. Construction began Aug 8, 1932 and was dedicated by President Heber J Grant on June 13, 1933. 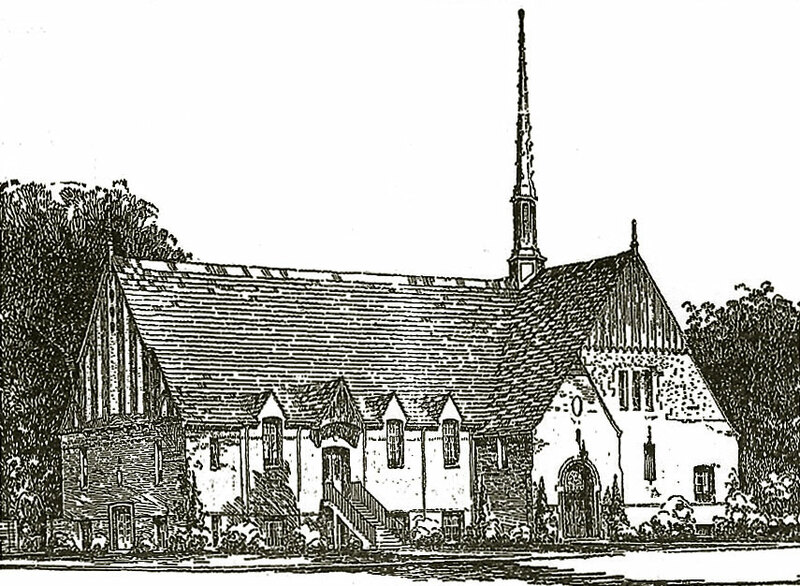 Seating capacity of the chapel was 400, with a social hall, dining room, kitchen and ten classrooms. After over 50 years of use and with few members left in the area, the building was sold in 1986, but then repurchased and bought back in 1997 when growth to the area returned. After purchasing the building it was noted that even the church name remained in tile work above the main door. If anyone has pictures or can obtain good pictures of the interior and exterior of this building, I would be very interested in speaking with you.